Most of us strive to keep our skin looking great, free of blemishes, looking radiant and glowing. However, there’s so many resources with advice it can sometimes be difficult to know what skin care routine will give the best results. There’s no ‘one size fits all’ when it comes to learning how to get perfect, glowing skin – it’s all about working with your individual skin type to repair, protect, and rejuvenate. Whether you live in a warm weather state, have an active outside lifestyle, have a high stress career, or find yourself not getting enough sleep, certain elements come into play that can have a negative effect on your skin. Your skin is the largest organ within your body, therefore it needs to be pampered as much as possible. Malignant melanoma is the most serious form of skin cancer and melanoma rates are rising faster than any other cancer. It causes approximately 9,000 deaths each year. -Skin cancer kills more women in their late 20’s and early 30’s than breast cancer does. Skin cancer is the number one cancer in men over the age of 50. -Only 33% of the population uses sunscreen and most do not know how to apply it properly. UV rays pass through clouds and window glass. It also reflects off of concrete, sand, and water. Lots of water – Staying hydrated and drinking at least 8 glasses of water per day help rid the body and skin of toxins. Fruit, vegetables, and whole grains – Eating fruits that are high in Vitamin C protect your skin against free radicals. Lean meat, nuts, and seeds – Foods that contain good fats help the elasticity of the skin and help to give it that “glowing” look. Limit dairy, wheat, sugar, and spicy foods – Limiting dairy and wheat consumption help to keep the skin clear, reduce acne, and prevent food allergies. Limit caffeine – Cutting back on caffeine can reduce the size of your skins pores. Smaller pores provides you with healthy looking skin, especially if you convert from caffeinated drinks over to high water consumption. Too much caffeine can also effect your sleep, and when a person is not getting enough rest, this can also expose your skin to stress. Cortisol, a stress hormone, is one of skins worst enemies. Limit alcohol – Too much alcohol can cause your skin to look dull and gray. It can also cause your skin to be dry, can leave dark circles under your eyes, cause the body to be dehydrated, which can lead to more wrinkles. Exercise – More exercise means more blood flow to the skin, which carries more oxygen and nutrients, which help nourish skin cells and keep them vital. No sun exposure – Staying out of the sun, or at least using a recommended sun screen, can protect against harmful rays and skin cancer. Too much sun over time has also allowed the skin to become old and leathery looking. Sunblock – Using a recommended sun block, especially in your daily face and body skin moisturizer, will help protect your skin against harmful ultraviolet A and B radiation. Gentle cleansing – A quality skin and makeup removing cleanser can help lift dirt and oils off of your skin, providing it with that clean, moisturizing feeling. When you use regular body soaps on your face this can cause irritation and dries out the skin too much. Limit exfoliation – When you exfoliate too much it can leave your skin dry, red and sensitive. You only want to use exfoliating products once per week, maybe twice. It depends on how your skin responds to these types of products, but generally you don’t need to exfoliate more than this. Lightly moisturize – Using a light moisturizer will help provide your skin with that youthful, glowing skin. Be careful not to use a heavy moisturizer though, as they can clog skin pores and cause breakouts. Cleanse with tepid water – Washing your face with tepid water, which is different than the temperature of your shower water, can protect against fragile capillary networks within the skin. Don’t use washcloths, scrubbies, or loofahs – These products tend to be too rough on your delicate facial skin. Plus, if they’re not cleaned consistently, you could be transporting bacteria that has collected on them over time, to your face. Avoid pore clogging makeup – Using the wrong makeup or cream could actually accentuate the pimples you’re trying so hard to hide. When searching for higher quality makeup products, reading labels to find out which ones won’t clog your pores and lead to more breakouts. Positive thoughts – Your mind is a very powerful thing. Sometimes we carry around deep, negative thoughts, buried down within our subconscious minds that we are unaware of. These thoughts can produce stress, which can lead to “Eczema and Psoriasis”, and until these thoughts are dealt with, other skin conditions can persist. Try meditation daily, or check out other programs that deal with communicating to the subconscious, and overtime help with rewiring your unconscious thought patterns that may be contributing to unhealthy skin, skin ailments, and other health issues. 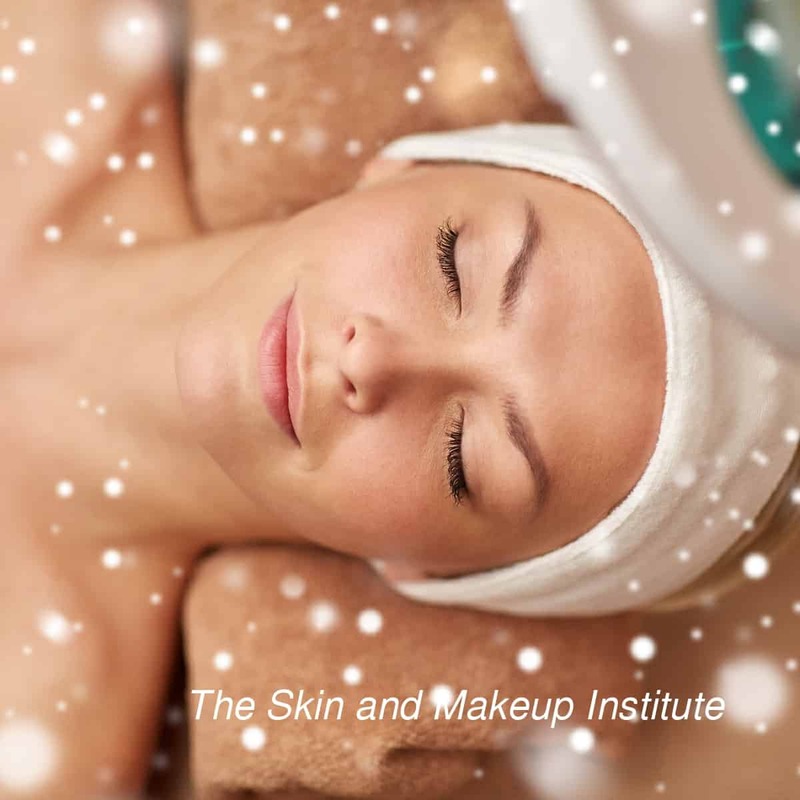 See your esthetician regularly – Estheticians are trained in skin wellness, helping their clients balance oil and moisture content and achieve a healthy, youthful complexion. Smile often – Believe it or not, smiling more often reduces stress, gives you a more youthful look, emphasizes cheek bones and lips, lifts the face, and makes you more attractive. Deep breathing – When you breathe properly and deeply, the oxygen that you inhale helps your mind think and cognate better, relaxes your muscles, tells your body that it can get out of the ‘fight or flight’ mode and helps beat all the damage that stress normally has on the body. When your body beats stress your skin benefits from this as it’s less stress hormones effecting the health of skin cells, keeping your natural skin tone and appearance vibrant. Stay calm – People who practice meditation, go hiking, exercise, tend to have healthier skin. Why? Because these are all activities that help keep a person calm and in control during stressful situations. The more calm your mind and body are during periods of stress and frustration the less cortisol is released throughout the body. Cortisol, mentioned above, is a nasty stress hormone and is responsible for a variety of negative health conditions. Aged and irritated skin, high blood pressure, and weight gain are just a few effects of high levels of cortisol. The more we keep this hormone suppressed the better for overall health. When it comes to skin care, it’s important to tailor your routine to match your skin type. Different skin types need to be treated with different techniques and products. Remember, no two people have the exact same skin, so why should we all treat our skin in the same way? Find out what works for your skin and stick to that routine. When you do find what works always remember that old saying “Don’t fix what’s not broken”. Form more information on proper skin care please contact our offices at (623) 334-6700 or visit our spa menu. If you’re looking for a rewarding career please visit our aesthetics school program.